Dip tops of cupcakes in crumbs to coat, pressing to flatten slightly. 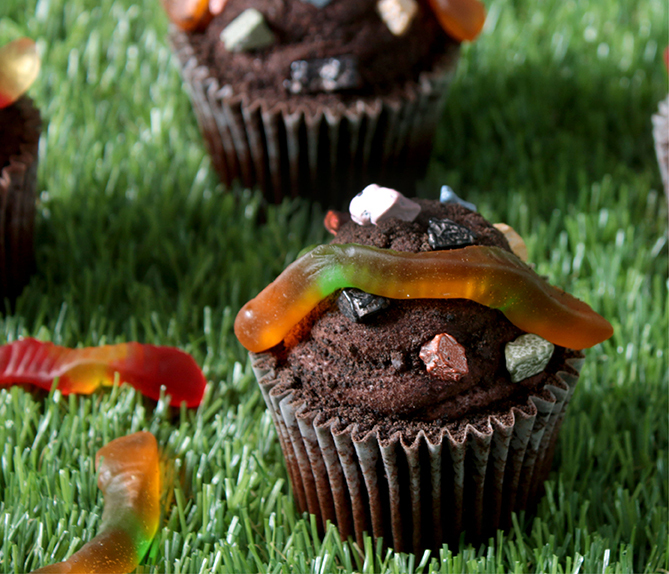 Arrange a gummy worm on top. Sprinkle candy pebbles around worms. Use your imagination for the candy decorations. Chopped pecans, chocolate chips or other small candies work well.